Categories: File & Disk Management, Mobile Utilities. Tag: Aiseesoft. For Android users, it is easy to transfer files between Android devices. 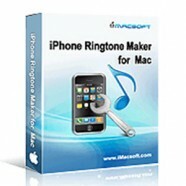 But for Apple users, it is troublesome to transfer files between iPhones or between iPhone and Android phone. Now with Aiseesoft FoneCopy, files transfer becomes easy. You won’t have to run iTunes every time you want to transfer files in your Apple devices. Got a new smart phone? How about the valuable data like contacts, photos, music etc. on your old phone? You definitely want to know how to copy these files from the original phone and paste on new one quickly. This phone files transferring application provides with the best solution. Whether you are using an iPhone or Android phone, just connect the two devices and you can easily copy contacts, photos, songs and other media files from old phone to the new phone. 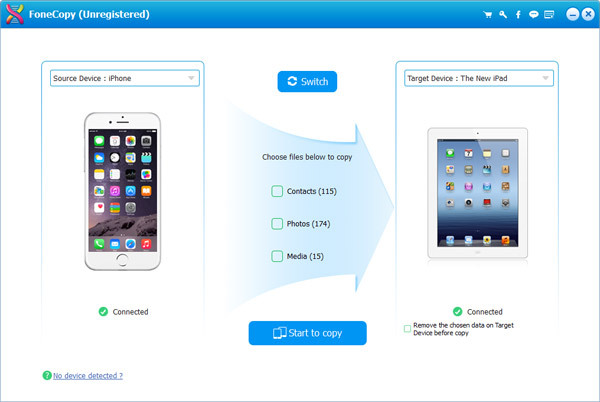 Moreover, it enables you to select the data types and migrate one sort of data to the new cell phone. There is a fantastic feature designed in this Phone Data Transfer to switch data. Whether you want to transfer important files from iPhone to Android, or from Android to iPhone, you can handily complete the data transmission to copy iPhone contacts to Android phone, or migrate Android photos to iPhone. It is capable of transferring contacts, photos and media files between iPhone and Android devices. The whole copy process is lossless with just one click. As long as your iPhone or Android phone can be recognized by your computer, even if your phone got damaged and unusable, such as phone is dead or smashed, you can rely on this powerful data transferring program to help you to copy files from the broken phone and paste them on new phone. If you are just facing the situation and want to back up the data to another device, this software can be a big assistant for you. You don’t need to worry about the data loss during the process of transferring, it can back up the dead or smashed phone to another device safely. No longer need your old phone, and want to give it to others or sell it? How to deal with the personal data on the old Android or iOS device? With this excellent software, you don’t need to reset your phone to factory setting and still be afraid of individual information divulging, just one click, it enables you to remove data on target mobile phone before copying. After that, the old phone will not have any data related to you, and you are free to give your phone to anyone without hesitate. With the fantastic phone to Phone Files Transfer, what you need to transfer phone files is two USB cables and a few simple clicks. The whole transferring process is simple and fast. Just launch the phone data transferring application on your computer, connect your devices to it with USB cables. After that, you can see basic information of your cell phones showing in the interface. Just a few clicks, the file transfer process will be completed.